Following the successful SMME development programme that kicked off in King William’s Town last Tuesday, the City’s Enterprise Development Unit through the Duncan Village Centre will be hosting a Supplier development workshop and information sharing day on Wednesday, 30 May at Cambridge Community Hall 10:00am. 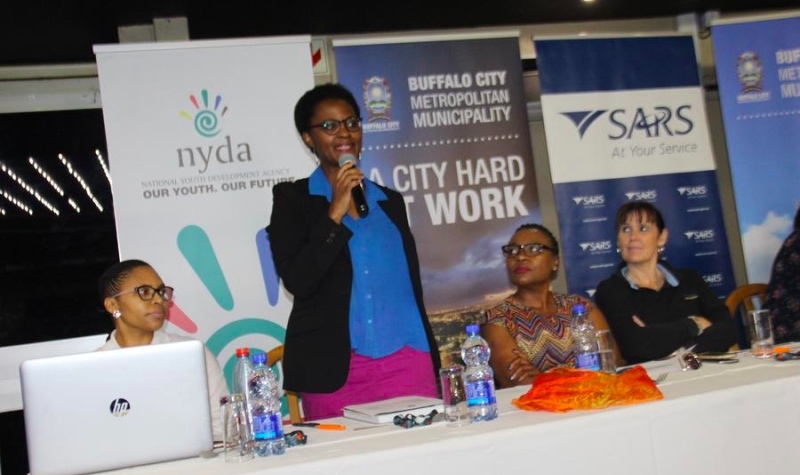 This programme is an initiative by BCMM Local Economic Development (LED) and the Supply Chain Management (SCM) units with other government departments due to high failure of small businesses in Buffalo City Metropolitan Municipality as it has been estimated that 50 -60% of newly established companies fail in their operations as many SMMEs still struggle to be suppliers of big companies that are dominating the value chain in the country. The Metro has now put in place programmes to support small businesses, as one of these BCMM has designed a supplier development programme that is aimed to build capacity and technical capability of small business to be qualified suppliers of big companies which will then stimulate the transfer of technology and skills from big companies to SMME’s. The aim of this initiative is to promote; support; and develop SMMEs to fight poverty and reduce the extremely high levels of unemployment. As well as to equip emerging cooperatives and SMMEs with business expertise, skills for growth and sustainability in the economy.